MOL Group and APK AG signed a strategic cooperation agreement. As a first step in the cooperation MOL will support the completion of APK’s Merseburg plant. 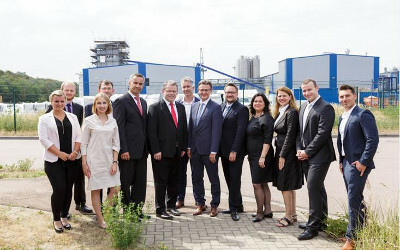 The plant will serve as a pilot for the innovative solvent-based process, called Newcycling®, which enables the recovery of high-quality materials from complex multi-layer packaging.APK and MOL Group will also explore joint projects in CEE.